There are conflicting views on just how important a role the Montrose area played in assisting the enslaved people to make their way to freedom through the Underground Railroad. According to Scholastic Teachers Activities Guide, “Myths of the Underground Railroad,” most people who helped the escaping enslaved were either “…free blacks or those that had managed to escape on their own.” It should also be noted that the majority of the enslaved who attempted to escape were caught and returned to their owners. The slave owner did not give up easily and published routinely in the local papers in an attempt to find their property. Charles Dickens in 1842 recorded some of these ads in his “American Notes For General Circulation.” One ad protested against “…that abominable and hellish doctrine of abolition, which is repugnant alike to every law of God and nature.” Here are two other ads that identified the runaways that the slaveholders were looking for. While it is difficult to determine the degree of involvement that Montrose and Susquehanna County played in assisting the enslaved to make their way to freedom, it cannot be doubted that the town and county did play a role. The Wikipedia account: “History of African Americans* in Montrose, PA and Susquehanna County,” states that Montrose played a significant role in assisting the enslaved but these historians have found little documentation to support the Underground Railroad claims. Other historians take an opposite view and see Susquehanna County as an active abolitionist area and say Montrose was central to the effort to help the enslaved make their way to freedom. Based on my research, I think there is evidence that our area did play a role in assisting the enslaved and it is likely that there is at least one residence that was a “safe house” located in Montrose. The Susquehanna County Historical Society and the Center for Anti-Slavery Studies remain dedicated to identifying and analyzing primary documents of the time. As early as 1792, Printz Perkins, a former slave, established a “…small black settlement in Brooklyn Township.” He and his family welcomed fugitives and by 1820 there were fifty-one residents in the County. Robert Hutchinson Rose, a physician and reformer, established a colony for African-American farmers and by 1850 the colony numbered 162. Gabriel Chappell also settled in Montrose and worked for Judge William Jessup, who was an ardent anti-slavery advocate. Joseph Drinker, also of Montrose, employed the runaway, Hamilton Young. When the Civil War broke out, Mr. Young joined the 54th Massachusetts Colored Regiment. One of the most vexing questions facing many whites was what to do with “discarded property”? As long as the enslaved were viewed as property they were of value. Once they could no longer be claimed as property, they became worthless. There have been varying accounts of the support the enslaved received in their effort to escape slavery. It is clear that the effort to assist the them was not a unified effort and neighbor was pitted against neighbor. This conflict would eventually lead to the Civil War. While many in the North believed that slavery should be abolished, there was wide disagreement as to what to do with the freed blacks. The Susquehanna County Colonization Society, whose members included: Joshua W. Raynsford, President; David Dimock and Samuel Warner, Vice Presidents; William Foster, Treasurer; Asa Dimock, Secretary. The annual dues were 50 cents and lifetime membership was $10.00. The Colonization Society’s main objective was to raise money to make transportation arrangements so that those freed could settle outside the United States, mainly in Africa. In fact, many were sent to Liberia in Africa. Dr. Rose felt that he had spoiled the farmers and the more he gave, the more they wanted. He believed that they would do better working on separate farms under the direction of a white owner. Dr. Rose’s view echoed the belief of many in the community, that the African-Americans “…should not be allowed to gather in groups of more than two or three.” There was constant fear of slave violence, and Dr. Rose was opposed to African-Americans holding meetings or forming a governing body. David Johnston, another tenant on Dr. Rose’s land, pursued a legal remedy when Dr. Rose sought to remove him from his land (at least Mr. Johnston thought it was his land). The two lawyers that Mr. Johnston asked for help were Ralph B. Little and Albert L. Post. They issued an opinion that found disfavor with Dr. Rose. On March 29, 1838, Dr. Rose wrote to the lawyers that David Johnston had no contract for the farm on which he was living. It is reported that the discouraged black farmers left in the night, taking one of Dr. Rose’s wagons and two of his horses and made their way to Binghamton, NY. In spite of the opposition, the Anti-Slavery Society grew in numbers. It held its first annual meeting on July 4, 1836, at the Presbyterian Church. At that time, 100 wanted to join. A year later, the Society claimed it had 275 members. 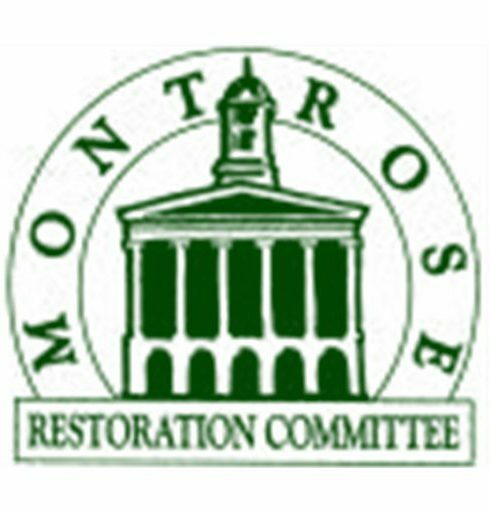 The Society, along with the Free Discussion Society (which encouraged discussion of the slavery issue), was based in Montrose and its members came from throughout the county and in adjoining counties as well. On October 7, 1850, a very painful and heartfelt letter was published by the Democrat, a newspaper serving Susquehanna County. The letter was written by African-American Alexander Dorsey, addressing the decision that the trustees made concerning the new Susquehanna Academy that had recently opened. In his letter, Mr. Dorsey states that he finds it hard to believe that African-American children would no longer be allowed to attend the Academy after having allowed them to do so for the first two weeks the Academy was opened. This decision was especially painful since many had helped build the Academy and had been given assurances that their children would be allowed to attend. He goes on to ask the question: “Shall we do evil that good may come?” The only reason I found for this decision by the trustees was that it would be wrong to have a mixed school. The Montrose Democrat, the most supportive local newspaper, reported that in the summer of 1861, people became violent. The paper reported that about 15 or so men came to the house of Loren O. Tiffany, where they took Tiffany’s hired African-American man, Mr. Henry Purdy. The men “…shaved (Mr. Purdy) one side of his head, tarred him, … and ordered him to get out-of-town.” It is unclear as to what these men had against Mr. Purdy. There was an African-American community in Montrose and the surrounding area prior to the Civil war and well into the 1900s. The area in Montrose that African-Americans settled was called by them “Pleasant Valley” whereas the whites referred to the area as “Colored Valley”. There were two African-American Churches build in Montrose. The African Methodist Episcopal Zion Church, which still stand on Berry Street and The African Methodist Bethel Church which was located on Chenango Street and is no longer standing. By 1840, there were enough African-Americans to form their own church. I believe the first church to be established was the African Methodist Episcopal Zion Church, hereafter referred to as the A.M.E.Z. The A.M.E.Z. began in a little house where the old jail now stands. About twelve members attended. The first church was built around 1847, and the present church, which is still standing, was built on Berry Street. It is reported that in 1905, some of the A.M.E.Z. congregation broke from the church. It seems that the riff was over an annual assessment of $20.00. Some thought this amount was oppressive. It may be at this time that the second church was formed, the African Methodist Bethel on Chenango Street. I could not get confirmation of this so it is a guess on my part. The two factions fought over the church going so far as “…padlocking the door and other means.” The two factions finally put to rest their feud and renovations were made to the building on Berry Street in 1948. In 1953, a youth group was formed called the “Buds of Promise of the Montrose A.M.E. Zion Church.” I have been told that the last service at the A.M.E.Z. was a wedding in 1975. The A.M.E.Z. was very active and many of its members became well-known in the community. One example was Edwin Bacon, who became a grocer, with his wife, Marands, opened a restaurant on Montrose’s South Main Street. The restaurant was noted for its “…nice dish of oysters and a dish of pickled cabbage.” George Allen of Heart Lake, remembered that Bacon kept all kinds of dishes, especially dishes known as majolica. Mr. Allen goes on to say that he would have paid much more. There are several accounts as to who became pastor of the A.M.E.Z. One account is of a fugitive who settled in Montrose, in early 1840, by the name of Robert Booey. It is reported that he became pastor, it is also reported that he and his wife, along with their four children, were well-known in the community. Hogshead chair made out of a wooden barrel. Lewis Williams, an African-American, lived in Montrose from 1840 to 1897. Some of the African-Americans who settled in Montrose are buried in the Cemetery. One stone reads “Born in slavery–died in freedom.” Another well-known African-American who lived in Montrose was Dr. Belle Price. She was a known authority on wildlife and perfected a method to combat diseases in wildlife. I was told that the method she perfected had to do with preventing chickens from disease. The last known runaway slave who came to Montrose by way of the Underground Railroad, was Hamilton Young who died on May 4, 1908. Montrose had many who risked their lives in helping the runaway fugitives to escape and often were at odds with member of their community. Most thought (with the exception of most slave holders) that slavery was wrong. It is also known that many of the runaways who settled in the Montrose area did not have easy lives. Most of the Montrose African-Americans, by the 1970s left the area, many to find employment in the factories and mills that were in Binghamton, NY. The African-Americans who came to our area left an important footprint on the history of our county and on Montrose. The Underground Railroad was an important step in recognizing the importance of human dignity. The issue of how to deal with our fellow human beings remains an issue even in our own times. Let us hope that we too have the courage that it took to help those seeking freedom to find their way where they could live their lives as free men and women. Special thanks to Cindy Wooden, Secretary CASS and the Susquehanna Historical Society whose help was invaluable. *The term African-American was first used in THE PENNSYLVANIA JOURNAL, May 15, 1782, in an article “Two Sermons”, by “African-American; one of the captured of Lord Cornwallis to be sold by W. Woodhouse, A. Smith, & S. Saviel. In modern times, the term was made popular by Jessie Jackson. *I may well have made some mistakes in attempting to write about the Underground Railroad, hopefully the mistakes are not too severe and deserving of forgiveness.